The European Court Human Rights has ruled that the Irish abortion ban violates the rights of pregnant women whose lives are at risk, after a petition by a cancer patient who feared her pregnancy would trigger a relapse. What now? [She] was in remission from a rare form of cancer when she unintentionally became pregnant. She said neither her GP nor the medical practitioners she visited gave her enough information about the impact of the pregnancy on her health and life, and of the impact of cancer tests that she had had on the foetus. Given the uncertainty, she travelled to England for an abortion. But, unable to find a clinic willing to provide the drugs to induce an abortion as she was a non-resident, she alleged she had to wait eight more weeks to have a surgical abortion. 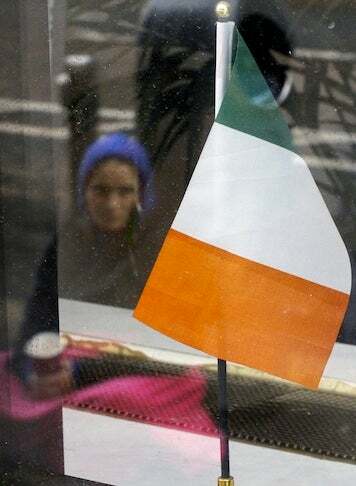 On returning to Ireland, she suffered the complications of an incomplete abortion. Her case has led the court in Strasbourg, France to deep traveling overseas for abortion to be an unnecessary risk to women's health, and may force the Republic of Ireland to come up with a health exception for its abortion ban. That said, Ireland has been asked to do so before, in the 1992 case of a 14-year-old raped by a neighbor who was suicidal. And the vague life-of-the-mother exception that does exist on the books in Ireland doesn't exist in practice — the woman with cancer was unable to find a doctor who would authorize it. That's partly because there isn't any actual legislation in support of the case, which may change now. And the case had limited applicability; the court ruled against two other plaintiffs who had different reasons for wanting to terminate, although both said they suffered complications due to the burden of overseas travel, that the stress and potential humiliation took a toll on their health, and that medical reasons for termination could go beyond what a doctor would be willing to document. The court agreed that the current system was flawed: What doctor would put him or herself at risk for imprisonment "if an initial doctor's opinion that abortion was an option as it posed a risk to the woman's health was later found to be against the Irish constitution"? Commenting on the European Court of Human Rights decision not to make specific recommendations in relation to abortion beyond where the life of the woman is at risk, [Chief executive Niall] Behan said: "The Court has left it up to the Irish State to decide on abortion policy in broader circumstances, beyond where the life of a woman is at risk. Importantly, the Court has indicated that it does not believe that the ‘Constitutional Courts' are an appropriate forum in which such matters can be decided. To this end, it is now incumbent on all political parties and individuals putting themselves forward for national office, to outline how they intend to deal abortion. The overall number of Irish women traveling for abortions (or at least, giving Irish addresses in overseas clinics, which wouldn't count everyone) has declined in recent years, including economic crisis-stricken 2009. Of course, traveling overseas for abortion care requires resources, which the collapse of the economy undoubtedly made less available.